Hi! Welcome to Native Camp! English does excellence. Always do your best in learning English Language. Today, I want to share one quote that says, "The secret of getting ahead is getting started." My name's Pova, a Licensed Professional Teacher. You know what, teachers here in Native Camp are very amazing. They can be trusted and they are willing to help you learn English in many ways. As one of the teachers here, I am looking forward to teaching you. See you in my class! Teacher Pova is a graduate of Bachelor of Secondary of Education. 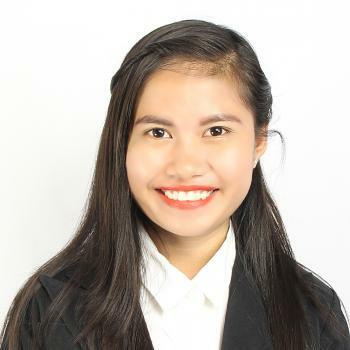 She passed the Licensure Examination for Teachers held last September 30, 2018. She had an experience being an ESL teacher. She also experienced handling students such as beginners, graders, teens and adults. She really loves to teach specifically if the student is focus in his/her studies. She's quite good in handling kids and she will make sure that her class will be enjoyable.